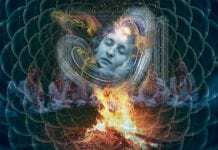 Home Feature Articles What Does Ayahuasca Have To Do with Ancestors and the Dead? While experiencing the loss of a loved one is a very personal affair, the resources we draw upon are deeply cultural. Psychologist Dr. Débora González explains how ayahuasca can be a precious tool for bridging worlds and grieving. 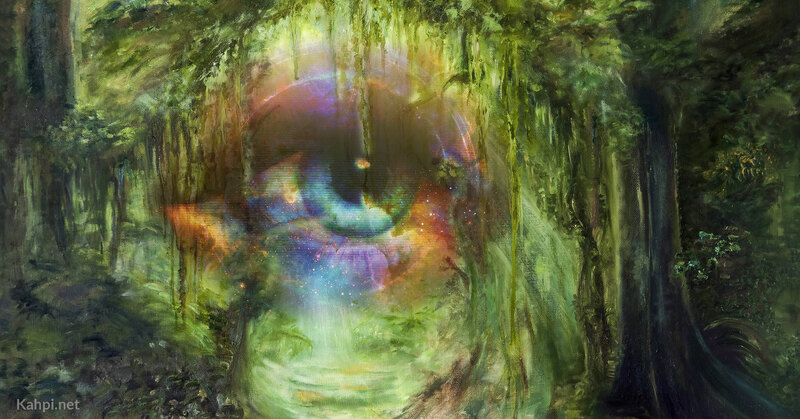 Ayahuasca is a powerful psychoactive brew that originates from the Amazon rainforest. The word comes from the Indigenous Quechua words huasca, meaning “vine” or “liana”; and aya, meaning “soul,” “dead people”, or “spirit.” But how did those who gave ayahuasca this special meaning understand death? What did they really mean by “vine of the dead”? We still don’t have solid information to determine the historical origin nor the cultural tradition in which this drink emerged for the first time, and it’s possible we never will, so these questions may never be answered. But it is unlikely that this earlier Indigenous society understood death as we do now in our rational, secular, and individualistic society. This idea that death is the final end of existence is a unique belief in the history of world cultures and civilizations. Today, secular society confuses the material with the real, and while the origin and nature of consciousness continues to be a mystery, we assume that when the body decomposes, consciousness disappears. In addition, Western individuals have inherited the Judeo-Christian concept of linear time where the past no longer exists, and thus those who have died also cease to exist. The psychological and social consequences of understanding death as a permanent ending are devastating. We have lost our ancestors, and we will forever lose everyone we love. Those of us not identified with a religion lack the myths, symbols, beliefs, and rituals that tend to bridge this abyss that we ourselves have created, since no one can know what it is to be dead. In his 1917 book Mourning and Melancholia, Sigmund Freud’s advice to deal with the pain derived from this ultimate loss is simple: detach from the dead. “But . . . what if death is not the end of the story”? a woman asked after taking ayahuasca. “It no longer seems like an ‘end’ to die, but just another sort of beginning.” These are some of the comments collected in a longitudinal study to assess the long-term effects of ayahuasca in people going through the grieving process. In 2015, ICEERS and the Beckley Foundation began an observational study of Westerners visiting the Temple of the Way of Light, a center that emphasizes ayahuasca as a vehicle for healing and personal growth within the framework of Shipibo traditional medicine. 🌿See author Débora González at the 2019 World Ayahuasca Conference in Spain. Tickets are available now! After extensive reviews of rituals and discourses on death in other cultures, psychology has realized that, outside of the West, the limits between life and death are dissolved, and this favors the relationships between the living and the dead to continue beyond this lifetime. Nowadays, psychologists have understood that forcing detachment from those we love is not only unnecessary but also deprives us of a great source of emotional, moral, symbolic, and poetic wealth in our lives. For this reason, maintaining a bond with our loved ones is a gold standard in the new therapeutic approaches to grieving the death of a loved one. 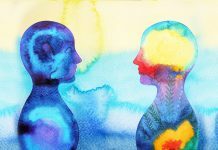 To support an ongoing relationship, these different therapeutic models employ techniques such as imaginary dialogue, correspondence with the loved one, guided visualization, or empty chair work. 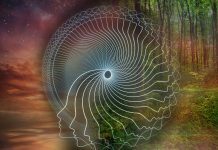 “I never thought I could feel her and be with her again,” explained a patient after taking ayahuasca within the framework of another study to treat grief with ayahuasca, developed by the PHI Association. After her mother committed suicide when the patient was only four years old, she had looked for some type of sign that confirmed that her mother was still close to her. She had an experience of contacting her deceased loved ones under the effects of ayahuasca. “When I look at her picture now, I no longer see the drama I saw before. Now I can see a supporting companion in her.” As my colleagues and I observed in our research, these experiences often evoke a transformation in the painful image of the loved one that patients had internalized after the death fostering a sustained alliance with them. These experiences have a profound therapeutic impact regardless of whether the patients think these visions are “real” or “imaginary.” It is difficult to compare to those experiences suggested by an external therapist in Western therapeutic settings. Grieving for the loss of a loved one is practically universal. About 10% of Western mourners suffer from what is called prolonged grief disorder, which has its roots in our particular worldview of life and being human. I am confident that, sooner or later, psychology will embrace botanical tools like ayahuasca, that have been so precious to other cultures, just as it has accepted the ways of understanding relationships between human beings outside the West. Because whatever those who coined the original term understood by “liana de los muertos” (vine of the dead), ayahuasca creates bridges between the world of the living and the dead, beyond the cultural abyss that separates us.